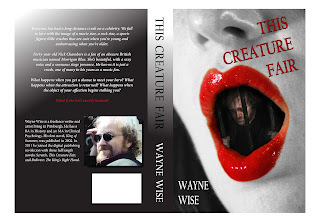 My ebook This Creature Fair is now available in a paperback edition, thanks to Amazon's Create Space self-publishing option. I'm pretty happy with the final product. Here's a preview of the wraparound cover, designed and executed by Marcel Walker.